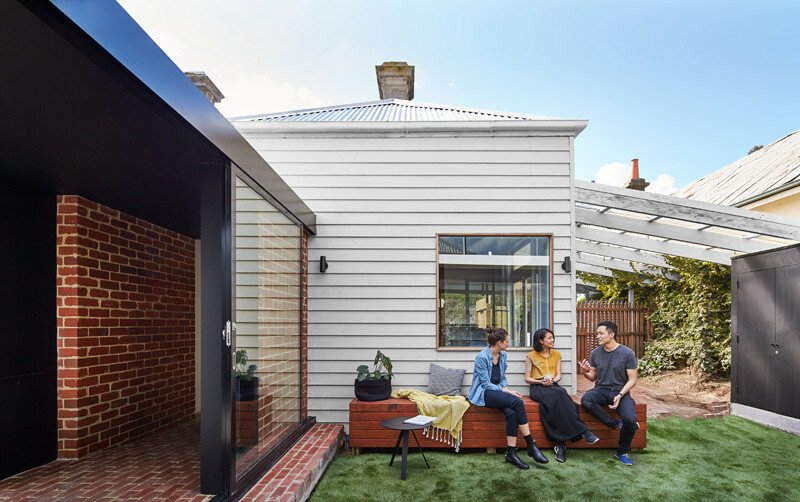 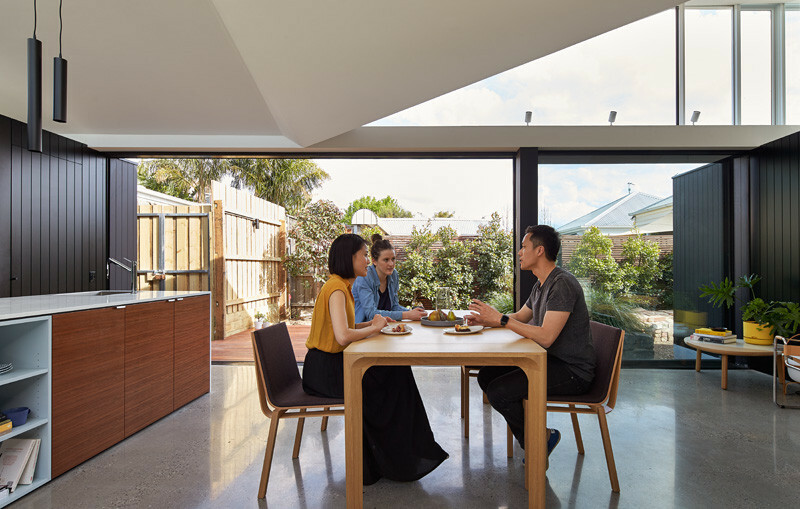 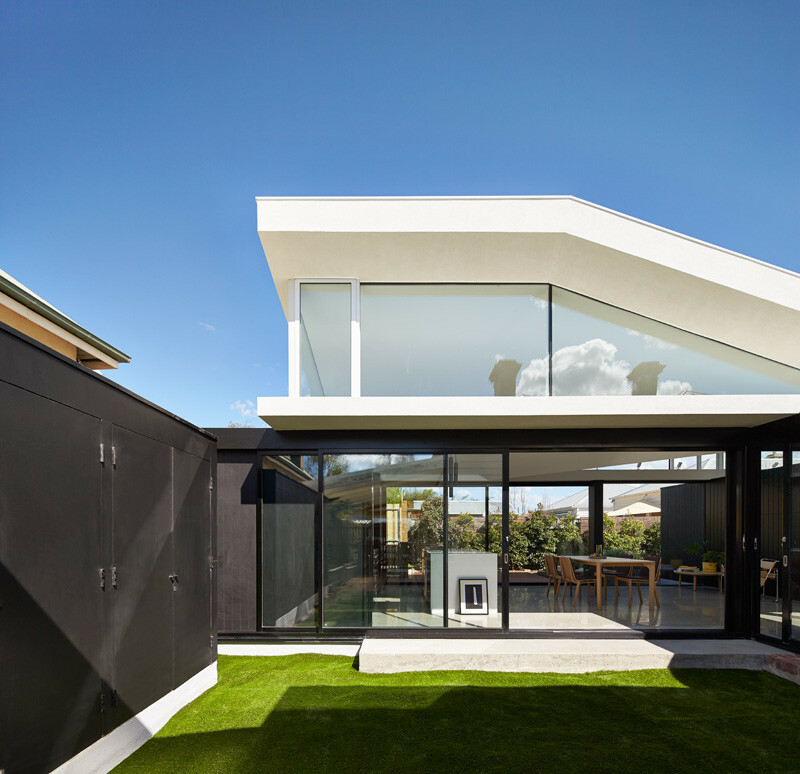 MODO (Michael Ong Design Office) have designed an addition to a home in Melbourne, Australia, that accommodates the home owner’s lifestyle, one that revolves around their garden and spending time outdoors as much as possible. 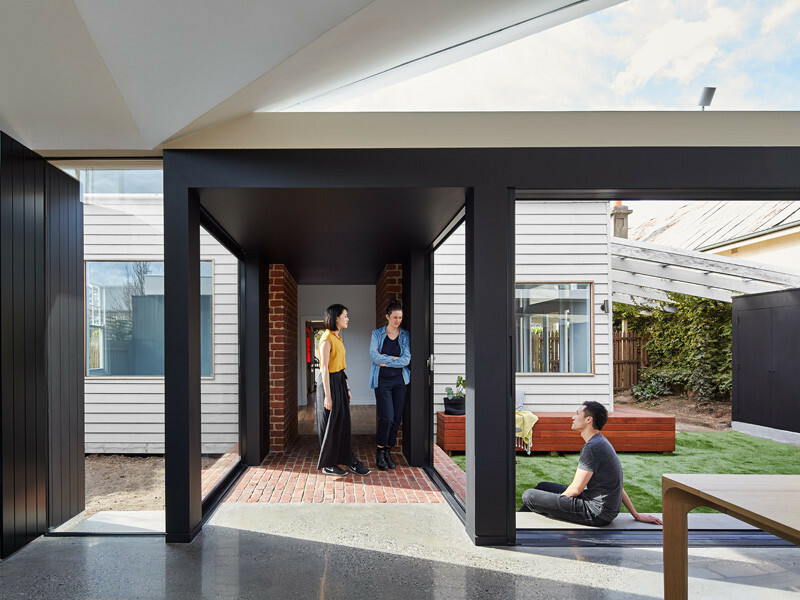 After clearing the backyard that included a small lean-to structure, the designers decided to build a stand alone structure, that is connected to the original home via a central passageway. 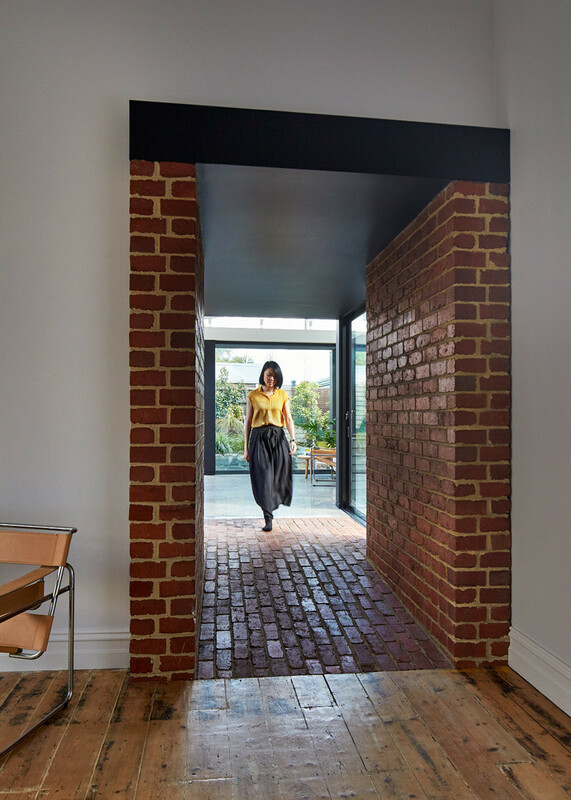 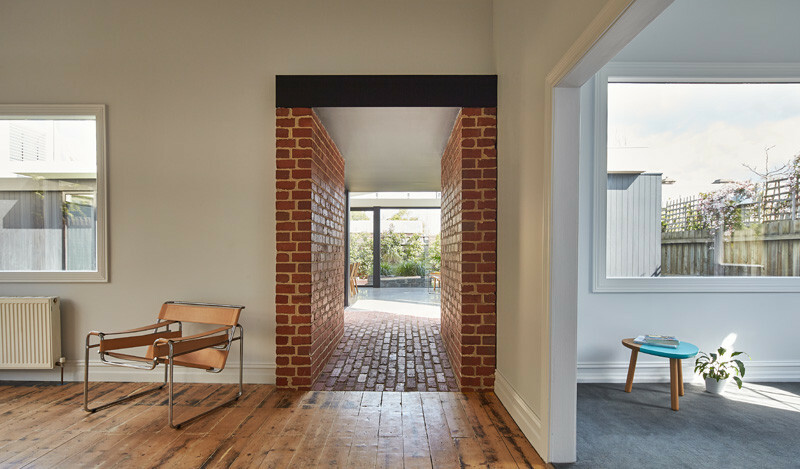 The ‘tunnel’ has been designed to transition between the old and the new, using salvaged brick and a glazed sliding door that opens to a grassy area. 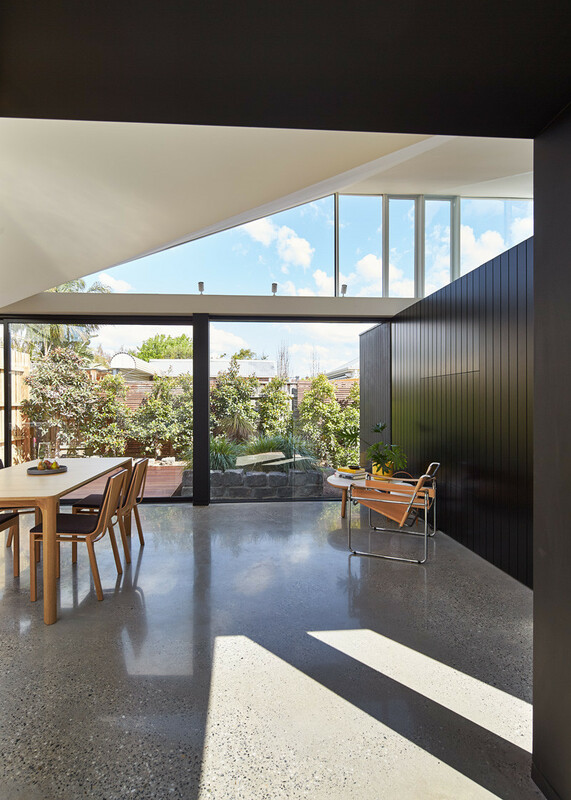 Here you can see more of the original home. 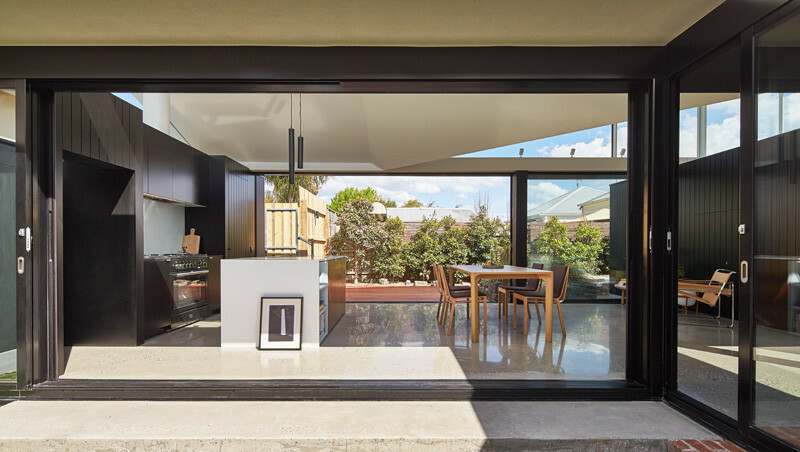 The new addition is home to a kitchen, pantry, dining area, seating space, bath and laundry. 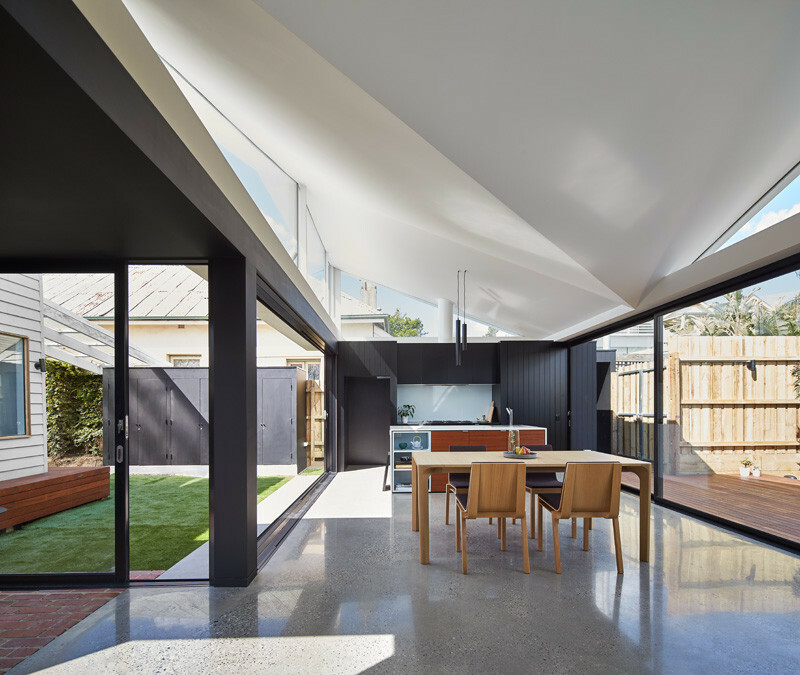 The roof line is in the shape of an asymmetrical butterfly roof, allowing plenty of natural light to fill the interior. 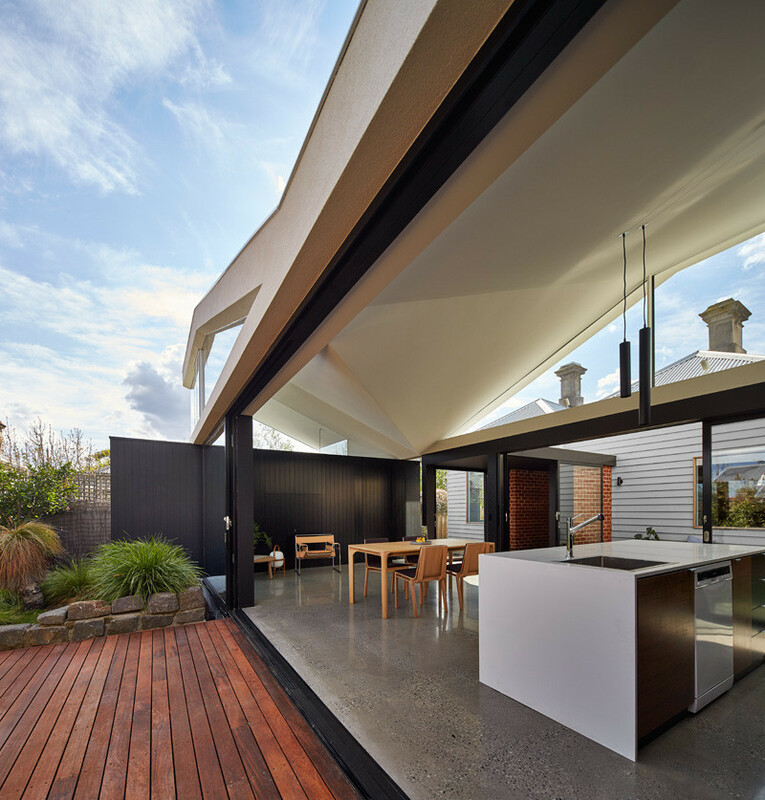 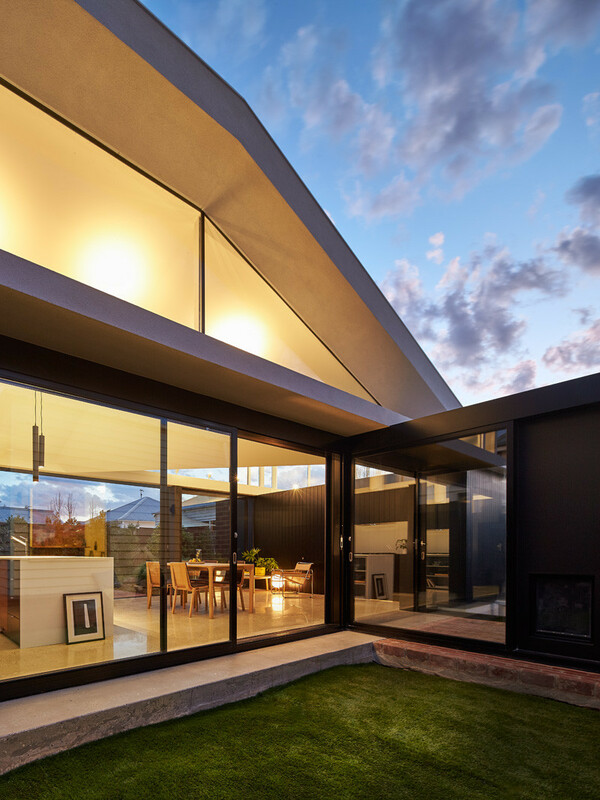 The addition opens directly to the courtyard and garden, which are located on either side. 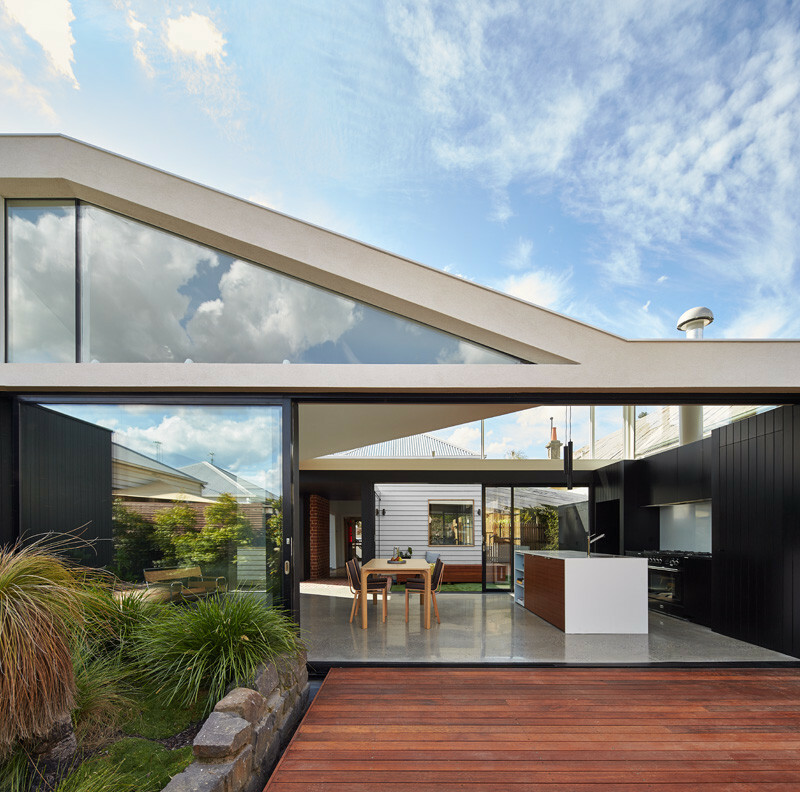 Inside, you can see how the ceiling is consistent with the angles of the roofline. 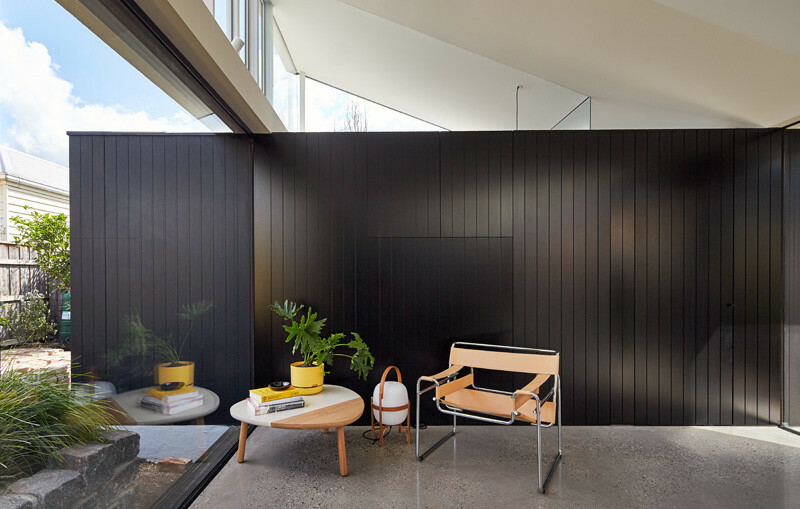 Furnishings haven been kept minimal throughout. 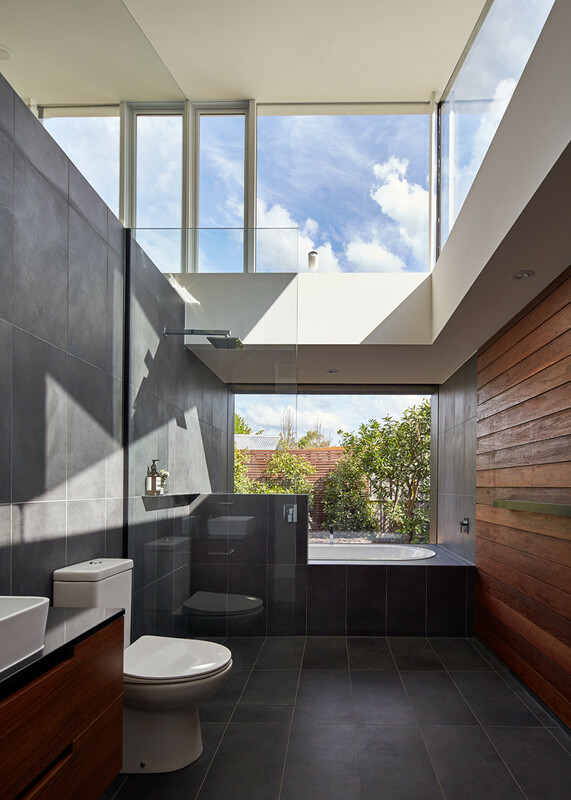 The bathroom is filled with light from the upper windows. 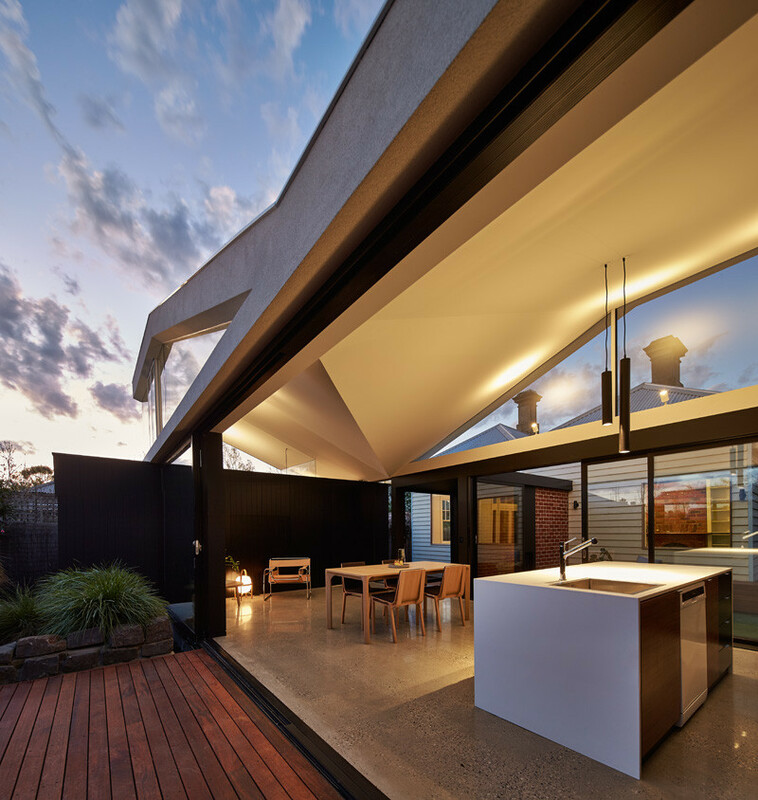 At night, the space is lit up like a lantern.